We humans have come so far with the advancement in science and technology through the years. Today, humans have a longer life span as medical science has come long way. I phone I pad note pad, Mac laptop, Si3 note 2 etc etc shows how much technologically advanced we have become and not just this but Wii, PSP, XBox360 and many more games have confined our 21st century children to the house. They don’t go out and play as much as we used which of course is one of the rising worry about childhood OBESITY but this is not what this post is about. What makes me astonished is that we humans have come so far ahead but we still believe in old school myths and newspaper headings when it comes to choosing our food. Today I want to talk about another super food which has been made the victim of “myth” since years. This super food is- “EGGS”. Majority of my clients tell me that they eat egg “white” for protein and throw away the “yellow” due to its tendency to increase cholesterol. My questions to them is, If you are taking your health so seriously and avoiding something that is in its most natural form then why do you have biscuits, chips, haldiram bhujia, doughnuts and gazillion other packaged food items in your pantry???? Why can’t you commit to “ACTUAL ART OF HEALTHY EATING & REGULAR EXERCISE? ?” Just throwing away egg yolks, omitting all forms of coconut from your diet or avoiding healthy nuts will not make you loose fat but for sure will make you loose on essential nutrients your body require. Of course eggs contain all nine essential amino acids making them the perfect source of protein. We all know this. What majority of us don’t know is that eggs are rich source of vitamins and nutrients good for our eyes, brain and heart. “EGG YOLK” is the best source of an essential nutrient called “CHOLINE”. Choline is essential for brain functions, cardiovascular health and health of your cell membrane. Egg yolk scares you because you think it will raise your cholesterol. 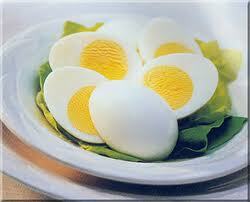 Actually this choline present in egg yolk “PREVENTS” the accumulation of fat and cholesterol in the liver. One large egg yolk provides good 300 mcg of choline, all in the yolk. Egg yolk also contains 315 mg of nutrient called phosphatidycholine, one of the most liver friendly nutrient. In Europe this nutrient is known to be used in treatment of liver disease and many nutritionists also recommend it as part of the liver support program (J. Bowden, PP 191). Not done with CHOLINE yet—— CHOLINE is required for the synthesis of a neurotransmitter called acetyl-choline. This neurotransmitter is very critical for memory and thought. It also contains 2 other super nutrients – Lutein and Zeaxanthin. These are shown to be excellent for eye health. Dr. Michael Geiger, a NEW YORK optometrist says that these two are among the most effective supplements for eye health (J. Bowden, PP 192). According to the journal of nutrition (August 2004), the bio-availability (absorption capacity) of Lutein is higher from eggs than it is from its supplements. Lutein is a carotenoid and carotenoids are always better absorbed when accompanied with FAT so even though there is a little less Lutein in egg yolk than in spinach, it is still absorbed better from egg yolk as the fat present in it helps to absorb it better. A QUICK TIP: Add boiled eggs to your green leafy salad containing spinach and enjoy double benefits of the nutrients for eye health. You can also make a nice egg and spinach curry to gain the same benefits. Some studies have also shown that eggs may also protect against breast cancer. Along with high quality protein, Lutein, Zeaxanthin, choline and Phophatidylcholine eggs also contain trace amounts of more than 15 vitamins and minerals. One Jumbo egg contains about 18% of the daily value of Vitamin B2, 14% daily value of Vitamin B12 and good 29% of the daily value of cancer fighting trace mineral selenium. The high sulfur content of eggs promotes healthy hair and nails (J. Bowden,PP 192). Remember the natural- homemade hair packs ladies!!!!!. There is one thing about egg and cholesterol: – The less you scramble or expose yolk to oxygen, the less the cholesterol gets oxidized. So the best way to have eggs is boiled. Avoid scrambled eggs at buffets as they are sitting out exposed to air for hours. MOST IMPORTANT: STOP WORRYING ABOUT CHOLESTEROL. According to the Harward Medical School guide to healthy eating “No research has ever shown that people who eat more eggs have more heart attacks than people who eat few eggs.” – (J. Bowden, PP 193). Dr. Jonny Bowden says that peoples’ response to dietary cholesterol vary widely. He says “The effects of eggs on your health can’t be predicted by the amount of cholesterol they contain” (J. Bowden, pp 193). A very informative article.Thanks for the information regarding eggs. Gud information on Eggs….can u pl tell me any high protein natural food in Veg, other than suppliment or Whey Protein. All types of Moong beans, grain like Quinoa, lentils, kidney beans and other pulses. I heard nowadays eggs are the eggs of the broiler chickens which are injected growth hormones ……… studies reveal that it is not safe to have them.Many organic eggs are in market … but don’t know what to believe out of them. Hi Radhika Please give us an advice on how to select eggs in market. Mr. Unnikrishnan, I completely agree with you and am aware of this. It is always better to source Certified organic or “Nati” non-injected eggs. There are a few farmers who bring these “nati” eggs to you. There are a few Grocery stores who are sourcing these and are keeping certified hormone free, cage free chicken eggs. Thank you Shiv. My pleasure.